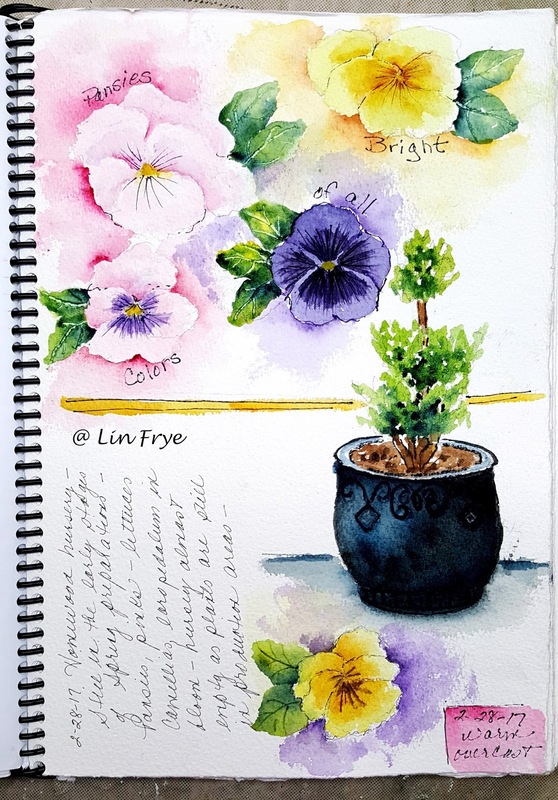 Journal - Looking for more spring color, so visited a local plant nursery - sketched these while there. This spread had Spring written all over it! Bravo! A beautiful journal page. Love the colors. 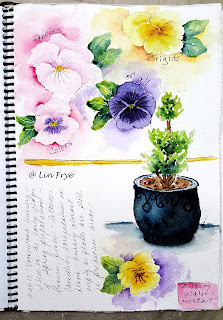 Ah Lin - these are so pretty and certainly a favorite subject of mine. Glad to read that spring is arriving in your part of the country. Take care and have a lovely week-end. Hugs!